Stephan Haah is the managing partner of Richvest Capital Advisors, LLC, a Los Angeles based Real Estate investment banking and capital advisory firm, specializing in investment properties transactions, asset management and also sale of residential and commercial loan pools between community banks. 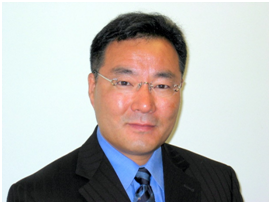 Mr. Haah studied Urban Land Development at the University of California, Berkeley, and is a Certified Commercial Investment Member (CCIM) by the Commercial Investment Real Estate Institute of Chicago. Mr. Haah has served as the President and also as the Chairman of the Korean American Coalition Los Angeles, and as the 32nd President of the Korean American Chamber of Commerce, Los Angeles, and as co-chair of the Urban Design Task Force of the Wilshire Center/Koreatown Community Advisory Committee (CAC) of Community Redevelopment Agency (CRA) of Los Angeles. He founded K-Town Political Advancement Committee (PAC) to advocate the Korean-American political agenda. FACE © 2018. All Rights Reserved.